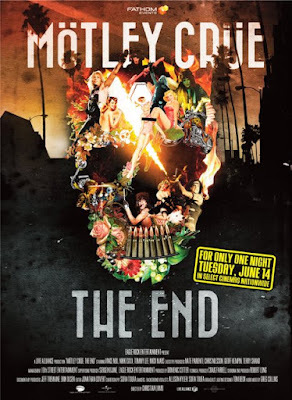 You can watch below the trailer for "Motley Crue: The End" concert movie. The concert was filmed at Motley Crue last show on December 31, 2015 in Los Angeles. Tickets for "Mötley Crüe: The End" can be purchased beginning Friday, May 13 online by visiting FathomEvents.com or at participating theater box offices.